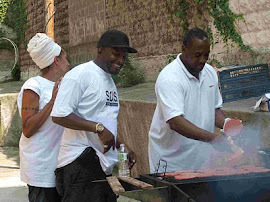 Save Our Streets Crown Heights and Save Our Streets Bed-Stuy are projects of The Mediation Center and the Center for Court Innovation. 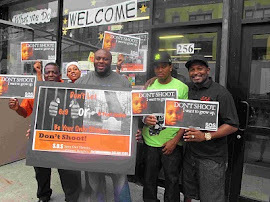 We work to eradicate gun violence in our neighborhoods. The last shooting incident in the S.O.S. catchment area was on September 1, 2014. 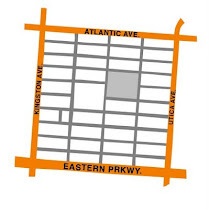 Click here to make a monetary donation to Save Our Streets Crown Heights. Please make sure to select "Crown Heights Mediation Center" in the program designation dropdown menu. Click here for other ways you can help. Interrupting Violence in Crown Heights by Suvro Banerji and Jackie Mader from NYC in Focus on Vimeo. S.O.S. outreach workers engage with those who are most likely to shoot or be shot. Our goal is to stop gun violence before it happens, and prevent retaliatory acts when it does. S.O.S. is a project of the Crown Heights Mediation Center. Click on the image to go to the CHCMC blog or call 718-773-6886 for more information. Click Here to download our updated Reentry Resource directory. S.O.S. on NY1's "Inside City Hall"
S.O.S. celebrates Global Youth Service Day!